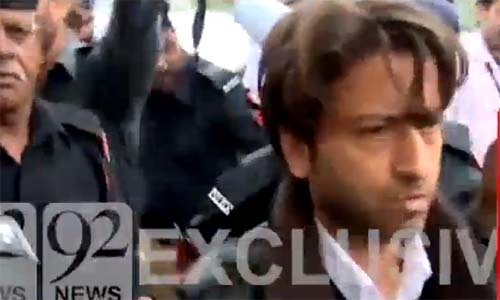 LAHORE (92 News) – An anti-terrorism court on Friday remanded former federal minister’s son Mustafa Kanju, the alleged killer of a 14-year-old boy, and his five accomplices in police custody for eight days. Mustafa Kanju, in his statement, stated that Zain was not killed by his firing. To a question about the firing by his guards, he remained silent.